These playful bracelets are a simple reminder to set and aim for your daily intentions! 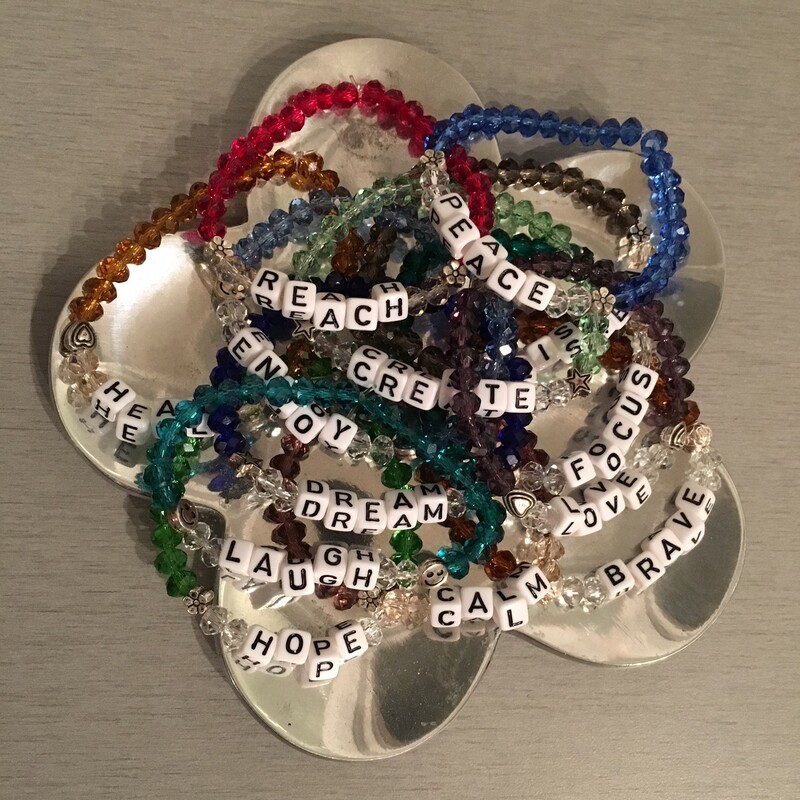 Select one or more intention bracelets each morning to help you focus. The bracelets are made of plastic beads on clear elastic thread. 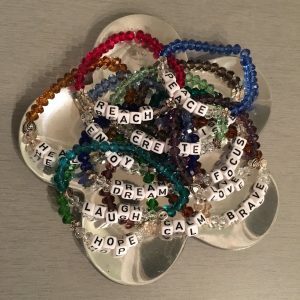 The metallic grey and colored beads bracelets work well on their own or mingled together. They are made in standard length on clear elastic, please indicate if you want longer. 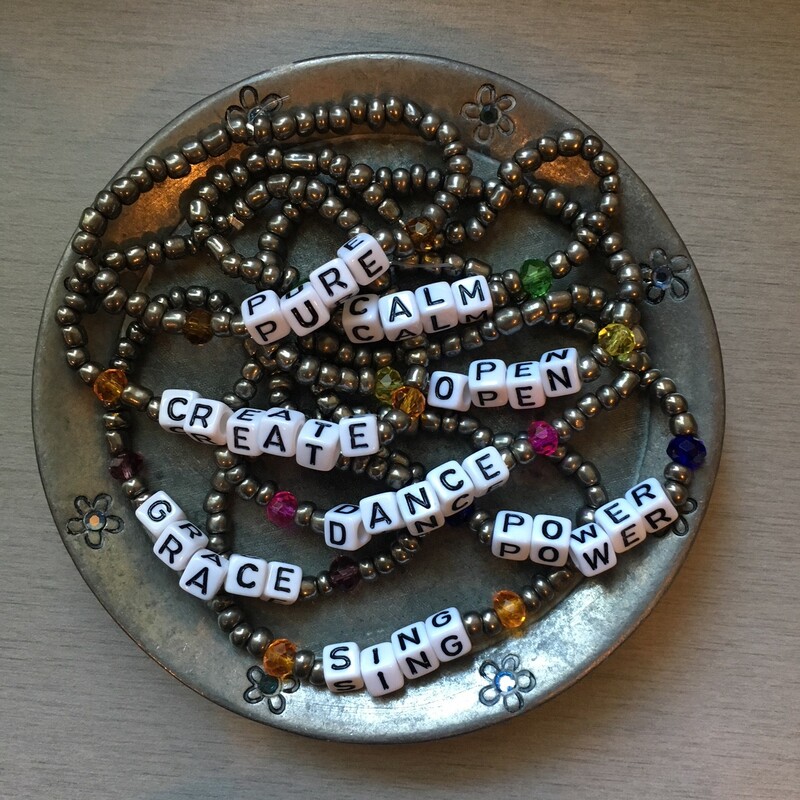 It is recommended to choose words with 6 or less letters. 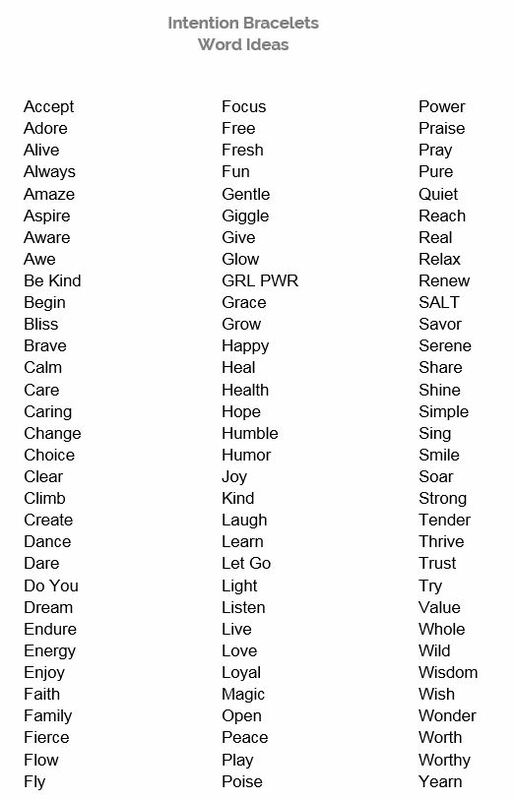 Please see list of suggested words in photo gallery or select your own. Please email Info@IamWhoIMeet.com for different quantities or questions.